Sweets and desserts are an important part of diet for many of us. It is a common habit to eat a piece of sweet or dessert after finishing your meal. And if the most favorite of the taste buds have to be declared ever; I think the prize will go in the lap of taste buds for tasting sweetsJ. Besides chocolates there are local sweets and desserts for every particular place. India is a land of diversity and it is said that here at every 20 km the language, food habits, clothing patterns and everything like this changes. And when we are talking about sweets; this thing can be considered as good too since we can’t just complain about tasting and having more desserts. Don’t get confused about the origin of this sweet; in case you are wondering this sweet is a fusion of two dishes combing on from Mysore in India and other being Pak (Pakistan); you could not be more wrong. In this one the Pak stands for Paaka Shastra related which in general translation means related to cooking techniques. 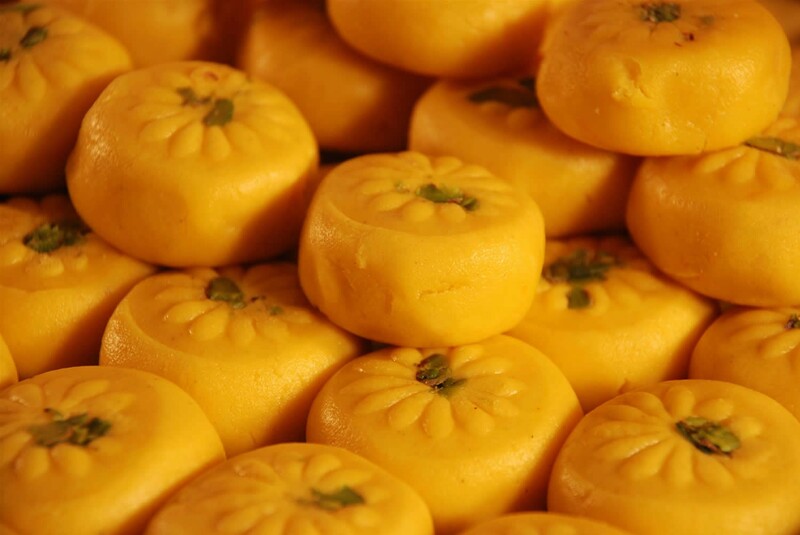 This particular sweet is rich in Ghee and the main ingredients of the sweet include Ghee, Sugar and Gram Flour. While the sweet itself is quite tasty; it is suggested not to consume it in large quantities since it can be quite heavy for your stomach if consumed too much. This one in particular is dominant in Northern India and is served from breakfast with milk or at the times of lunch and dinner. 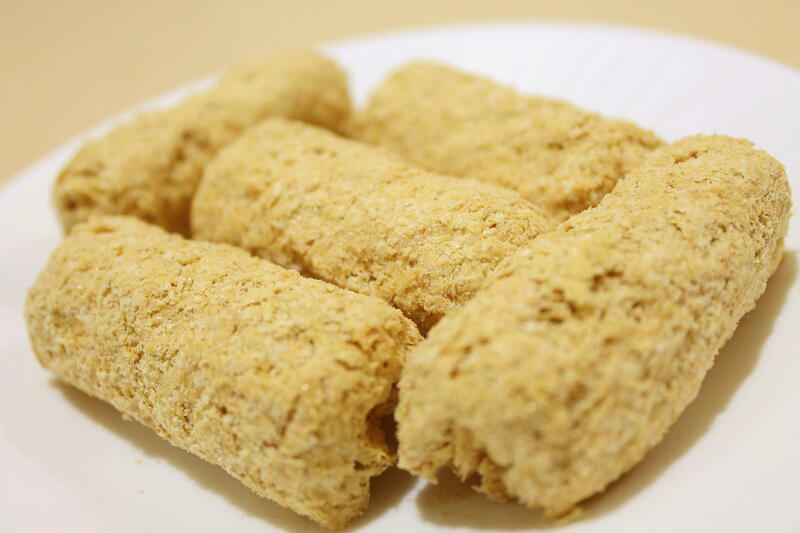 It is a sweet that is prepared after deep frying the wheat flour or Maida flour batter in somewhat circular shapes. After they are deep fried; they are soaked in the sugar syrup and thus a sweet with somewhat chewy texture and exterior coating of crystalline sugary nature is prepared. Now this sweet dish can be served either warm or cold along with milk, curd or rabri depending on what place you are in India. Now although the dish finds its presence all over India but there are different names for it in different places or states. 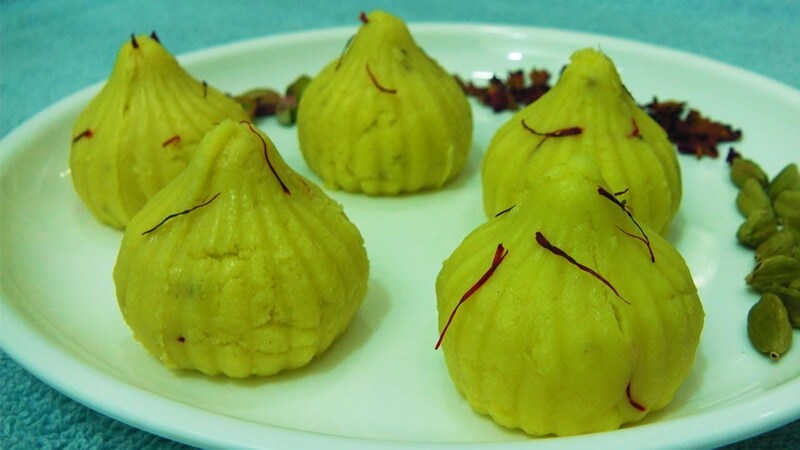 While the dish is called Modak in Marathi, Oriya, Gujarati and Konkani, Modhaka or Kadubu is more popular one in Kannada. Other names include Kozhakatta in Malyalam, Kojhakattai in Tamil and Kadumu in Telugu. The outer shell of the dessert is made of rice flour or wheat flour mixed with Maida flour. 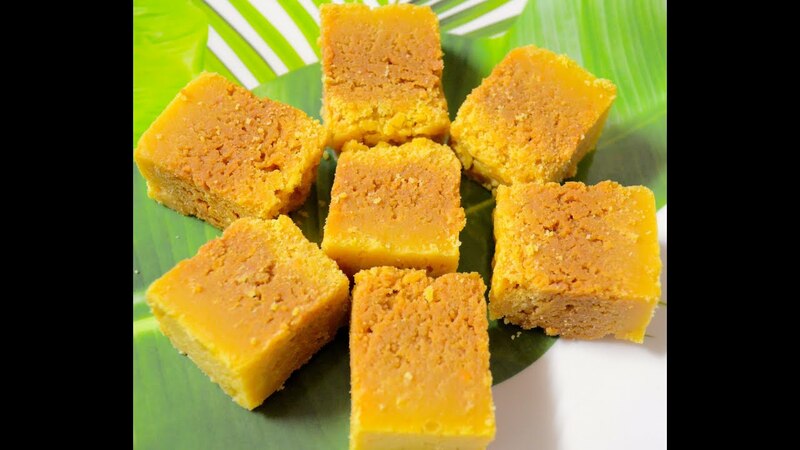 The inner filling of the dessert is of jaggery or freshly grated coconut. After preparing all this; it is prepared either by steaming or frying. This dessert also has a religious importance since it is quite popular to be served while worshipping the Hindu God Shri Ganesh. This is yet another sweet dish from India that later you will eat; more you will be repentant on why did u missed it for so long. Mawa and powdered sugar are the 2 major ingredients of this sweet. Mawa with a grainy texture is preferred and mawa is fried while adding little amounts of milk in it from time to time. Adding milk or ghee timely while roasting makes it easy to fry. Once it is fried to an extent that it changes the color from White to Brown; you have to mix sugar powder and Elaichi powder in it. Once it gets cooled down; you have to roll it in the shape of balls and your Mathura Ke Pede will be ready. This one is particularly quite popular around festivals like Eid, Karva Chauth etc. Major ingredients for preparing this mouth watering dish are full cream milk, chopped mixed nuts, basmati rice, cardamom powder, saffron and sugar. After rinsing the rice with water; it is grinded with a semi fine paste with a slightly coarse texture. In another pan milk has to be boiled, saffron is separately mixed with a tablespoon of warm milk. 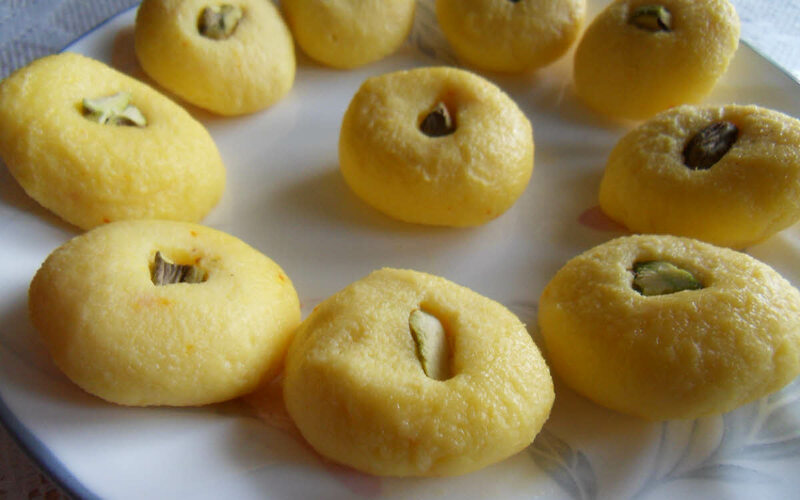 After the milk is boiled; one needs to mix the grinded paste in it along with the cardamom and saffron and once it is cooled; mix the nuts in it and you yummy sweet is prepared. This one is a dry sweet; more popular in Northern India and prepared and consumed in the winter months. This is one sweet that you may avoid preparing at home since it is time consuming and may take at least 10-15 hours. But still for those who want to try it; of course there are various recipes on internet. The major constituents of the dish are sesame seeds and jaggery. Take a round of the markets in north India in winter; and you will see plenty of sellers selling this delicious dish. Once again this very popular among Indian Sweets and Desserts requires skilled professionals to prepare it; so it might be better you consume it ready-made instead of preparing it. The major ingredients of the dish include cashew nuts, milk, and saffron. Ghee and dry fruits can also be added. The dish is quite popular and is prepared and sold in bulk by sweet vendors around Diwali and other prominent festivals. It is so popular in India that looking at its popularity; some of the sweet vendors have also started selling its sugar free version. A Bengali sweet that is too soft and fragile that it will start melting the moment you put it in your mouth. Three major ingredients of this delicious sweet include paneer, cardamom powder and sweet. The main and important thing that needs to be kept in mind while preparing it is that the paneer must be fresh and moist. This one is rather expensive as first of all it requires very skilled chefs preparing it and secondly it has to be consumed in a few days of its make. It is so in demand that even people living outside India have become a fan of this dish. This one does not need an introduction to any fellow Indian. Available in all seasons but especially in high demands in festive, wedding and winter seasons, this sweet dish will make you feel like Christmas in your stomach. 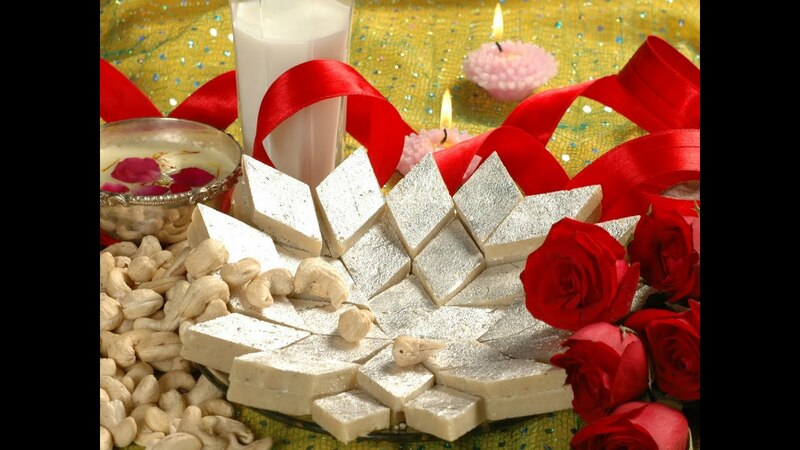 Mawa, Maida flour, dry fruits, Ghee and sugar are major ingredients of the sweet dish. This dish is said to have its roots since the time of Mughals and is one of the most commercially favored sweets in India. Just taste this for once and you will feel like its heaven in your mouth. This dish is so tasty that people actually wait for winter season in India for having to eat this dish. The major ingredients of the dish being sugar, cardamom powder, grated carrot and milk. The milk is made to boil in a container for some time and once it is boiled; the grated carrot is poured in it. Once the grated carrot consumes all the milk in it; cardamom powder and sugar are mixed to it. This nice smelling dish is best served hot and if you may like you can always pour some of the dry fruits from the top. So these were some of the most delicious and mouth watering Indian Sweets and Desserts that you must try if you are in India or are planning to visit India. And once you are mesmerized with their heavenly taste; it is sure that you will end up recommending others for these sweet dishes. And if you are planning to invite your boss or someone else you need to impress; on dinner, these ones are sure shot recipes to win their hearts. You have write an amazing article. You Make my day. I have also write an article about this topic. Must take a look you may like it.